Over 30 bands on the Beach! 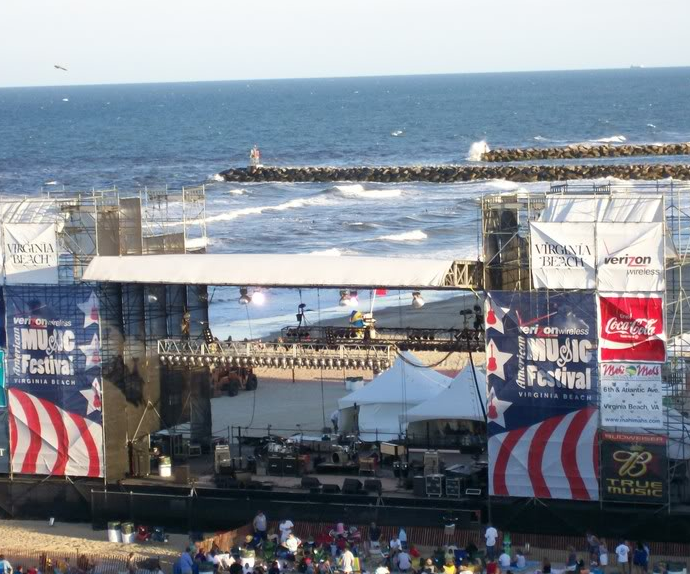 The sounds of rock, jazz, country, blues, R&B, and more flood the Virginia Beach oceanfront for three sun-filled days over Labor Day Weekend at the Verizon Wireless American Music Festival. 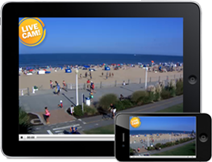 The largest outdoor music event on the East coast, the Verizon Wireless American Music Festival brings together local, regional, and national acts to play on a gigantic 60-foot wide and 60-foot tall stage on the beach at 5th Street as well as stages in all parks along the beautiful Virginia Beach oceanfront. Festival goers by the thousands love the appeal of being outdoors on the beach with the Atlantic Ocean providing the perfect background for some of the greatest live music of all time! Food vendors, beer, and merchandise kiosks enhance the festival atmosphere along the boardwalk.